BUTUAN CITY, Nov. 21 (PIA) - Department of the Interior and Local Government (DILG) Secretary Mar Roxas, who served as guest speaker during the conduct of Disaster Preparedness Symposium with representatives from government agencies and barangay officials held on Friday in one of the local hotels here, urged the public to help prevent and stop illegal logging activities in the city. “I’m very happy to be back here in Butuan. Your city has already 350,000 population. There has been significant developments and several investments, business establishments have been put up here. And as your city progress, challenges are also on our way. I challenge our PNP personnel led by Regional Director PCSupt David Yalong Ombao to cease the illegal logging operations and capture the illegal loggers. Let’s do our job not just by words but by concrete actions. Major Gen. Getulio Napeñas, who was the former PNP chief in Caraga is now the chief of the Special Action Force (SAF) in Western Mindanao Command, and he will assist our PNP here in Butuan to put an end to these illegal loggers who mainly caused the floodings in the region. This cannot be done overnight but is possible with the help and cooperation of all sectors so flooding will really be prevented,” stressed Roxas. The secretary also assured the barangay officials, who are the frontliners in all calamities that he, with the President Benigno Aquino, and the government will always be there to support them. “As first responders, now is the right time to think, plan of the things that we should do and practice as the weather is still manageable. If we will not take preparedness seriously, when calamity comes, people can no longer think properly and act appropriately because people tends to panic and become confused on what to do. This is why I think it is much better that there should be a risk reduction plan… As frontliners, we should provide good service to our people,” he added. 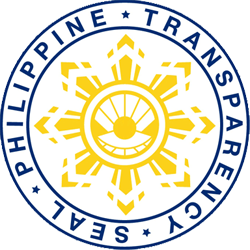 Roxas further urged the public to report any information or complaints against illegal activities to the authorities or law enforcement agencies. 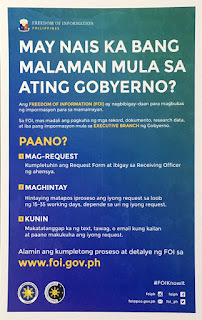 “If after you have complained and there was no action or immediate response, call this number 0917-6276927, and our staff in the DILG central office will address your concern to the responsible officials. Once you report an information or any complaints to the said number, please include the name of the police officer who answered your call but failed to provide immediate response. Also give the complete details of your report or complaints so it will be recorded accordingly. Our staff will automatically inform the city mayor, PNP regional director, and the congressional representative. We all need concrete actions… Report and let’s win this battle because we’re doing the right way,” he highlighted. It was also learned that Sec. Roxas ordered the Butuan City Police Office (BCPO) to put into record the complaints received, as well as the corresponding action taken. “You can call this number 0947-8334825 for your report or complaints on any illegal activities in your area,” he said. Roxas also instructed Liga ng mga Barangay (League of Barangays) president Nestor Amora to provide report on December 21, 2014 on the status of the complaints received and recorded in the barangay level, and it will be practiced on a monthly basis. BUTUAN CITY, Nov. 21 (PIA) – The Metrobank Foundation, Inc. (MBFI) in partnership with the Department of Education (DepEd) and the Commission on Higher Education (CHED) is now accepting nominations for this year’s Search for Outstanding Teachers (SOT) with the theme “Empowering Dreams for an Inspired Nation”. According to MBFI Education Unit program assistant Rachel V. Ramos the Search continues to fulfill teachers’ dreams of being honored especially those who manifest commitment to the development of the youth through exemplary competence, remarkable dedication to their work, and effective educational leadership. “Since its launch in 1984, the Search has awarded a total of 336 educators all over the Philippines,” she added. “Joining the Search is easy! Teachers just need to submit a two-page Basic Information Sheet (BIS), now available online with no additional documents required,” Ramos said. Ramos further said that the Search is open to all teachers in the elementary, secondary, and higher education levels in both public and private schools throughout the country. “Possible candidates should be Filipino citizen who are actively teaching in the country for the last 10 years and with valid PRC license,” Ramos added. For the Elementary competition, schools are entitled to nominate two nominees, one each from the primary (Kinder to Grade III) and intermediate (Grade IV to Grade VI), while schools for secondary and higher education competition are entitled to one nominee, respectively. Past finalists of the Search, who meet the basic eligibility requirements and have shown sustained good moral standing in the community, are deemed automatic Provincial Finalists. Each of the 10 winners will receive a P500,000.00 cash prize, medal, trophy, and plaque of recognition for their school. National Finalists not chosen as winners will receive P20,000.00 cash while Regional Finalists will get P10,000.00 cash incentive.